Litigation News, the publication for the American Bar Association (ABA) Section of Litigation, consulted Lewis Rice member Robert J. Will for his thoughts on a recent attorney-client privilege case. In Behunin v. Superior Court, the California appeals court ruled that communications between lawyer, client, and public relations firm could be privileged, under the right circumstances. 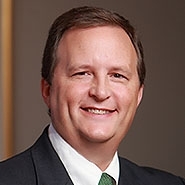 Bob Will is co-chair of the Section of Litigation's Pretrial Practice & Discovery Committee and advises his clients on matters related to class action litigation, trust and estate litigation, professional liability, and condemnation. He is a Fellow of the American Bar Foundation (ABF), an honorary organization of lawyers, judges, and legal scholars whose careers have demonstrated outstanding dedication to the welfare of their communities and to the highest principles of the legal profession. To view the full article, click under "Resources" below. Please note that only ABA Section of Litigation members can view the article.